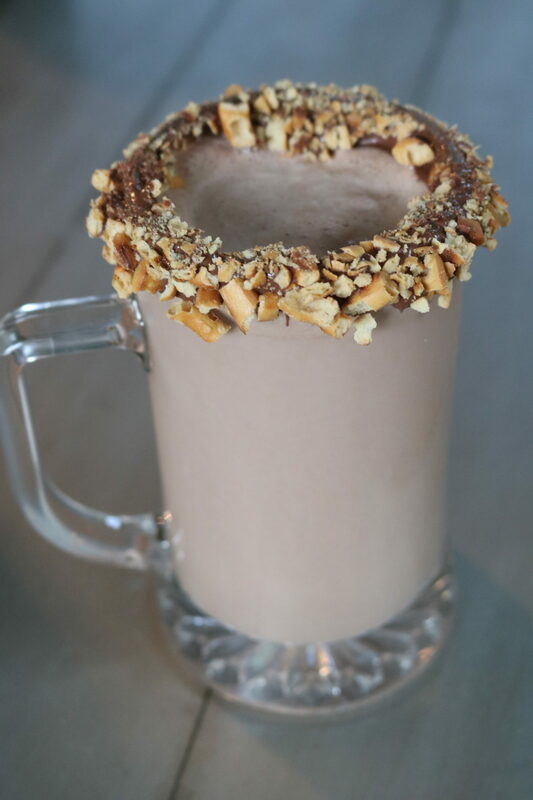 In the spirit of #babybrew and Kate’s last few weeks of pregnancy (fingers crossed), for National Chocolate Milkshake Day we traded our spiked milkshake for The Ultimate Chocolate Milkshake with a Nutella & Pretzel rim! 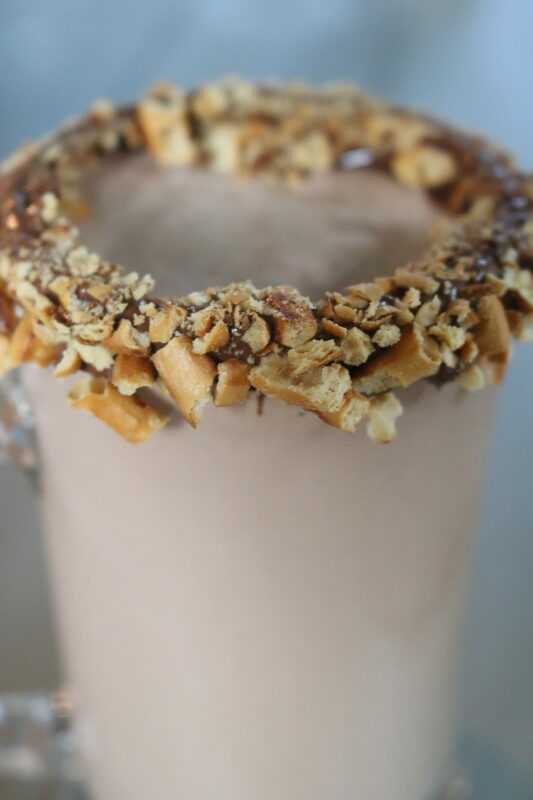 First prep your milkshake glass by coating rim with Nutella and dipping it into your crushed pretzels. Add all ingredients to Vitamix. Blend in Vitamix on high until smooth. 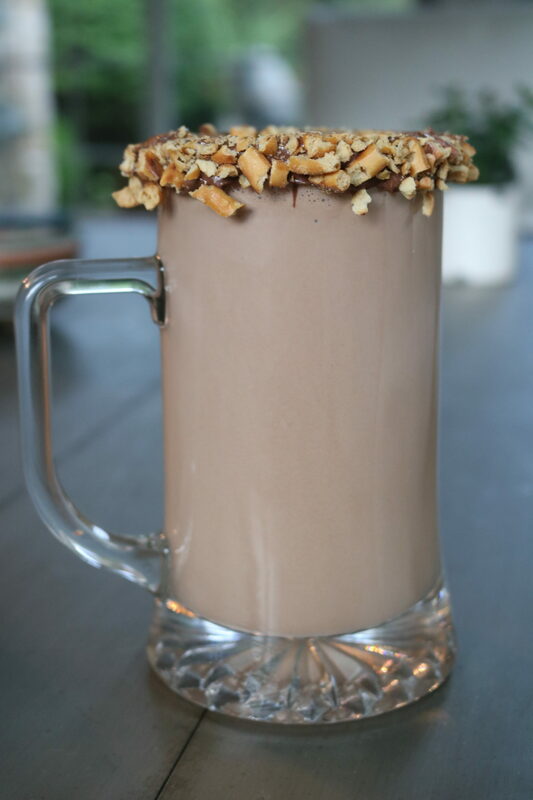 Pour into rimmed glass.